The power clean is one of the most explosive exercises you could perform. It involves picking a barbell off the floor and propelling it up in the air so that you can catch it on your anterior shoulders. It improves speed, athleticism, and power. You may have heard of it because it makes up part of one of the Olympic weightlifting movements known as the Clean & Jerk. It is technically challenging but has tremendous benefits if implemented in your training program. Once you have the hang clean figured out, then you can combine the two into one swift motion. Take a breath, and hold it in. Begin the pull by extending your knees and hips until you are standing upright. Now you will begin the Power clean by forcefully jumping straight up. As soon as your feet are flat on the ground, quickly drop into a quarter squat position by bending at the hips and knees slightly. This exercise is meant to be done with speed and explosiveness. Decrease the weight and focus on using momentum to catapult the weight up to your shoulders. It’s called the power clean, not a muscle clean. It is important to bring your elbows all the way up when catching the weight so that it can be in the front rack position (resting between your clavicles and anterior shoulders). If you catch the weight with vertical forearms, you will be placing too much strain on your arms. In addition, if you cannot bring your elbows all the way around, then you have tight forearms. Stretch your forearms daily to improve your wrist flexibility. If you are landing with a really wide stance, then the weight is probably too heavy. Be conservative with this exercise. Keep practicing good technique. Use it for what it’s meant to be used for-to develop power and explosiveness. Are Power Cleans Bad For You? No. Power cleans are really good for you if you do them correctly. With that said, it is very important to treat this movement with respect! Make sure that your form is adequate before you lift heavy weights. If you do not heed this advice, you can get injured. Are Power Cleans Better Than Deadlifts? No. They are completely different exercises that are meant to train different things. Deadlifts will teach you how to pick up a heavy object off the ground and primarily trains your posterior chain. Power cleans will teach you how to be explosive and are primarily an upper back exercise. You will not be able to lift anywhere near as much weight on the power clean as you can a deadlift for obvious reasons. What is a Hang Power Clean? It’s when you perform the exercise from a standing position while holding the barbell (just as I show in this tutorial). A full power clean does not break the movement into two separate exercises. You lift the bar directly from the floor and onto your anterior shoulders in one movement. Hang power cleans are harder as you have to create the momentum to propel the barbell up from a dead-stop position. Can Power Cleans Increase Your Vertical Jump? Yes! Increasing your vertical jump is a matter of power production. The more power you can produce, the higher you will be able to jump. Just take a look at the vertical jumps of some Olympic level weightlifters on youtube. Here’s an example. Can You Power Clean With Dumbbells? Yes, you can certainly power clean with dumbbells. The exercise is less effective and becomes very difficult to do once the weight starts to get heavy. Simply hold the dumbbells out at your sides, and you will still do a triple extension while shrugging the dumbbells up to your anterior shoulders. You can also use kettle-bells. This is likely a wrist flexibility issue. Stretch your forearms daily and continue practicing the movement. In the beginning, you may have to hold on the bar with just one or two fingertips when the bar is resting on your anterior shoulders. Your wrist flexibility improves quite quickly, and you should be able to achieve the clean position within a couple of weeks. How Can I Power Clean More Weight? This exercise is more about technique and power production than it is about strength. 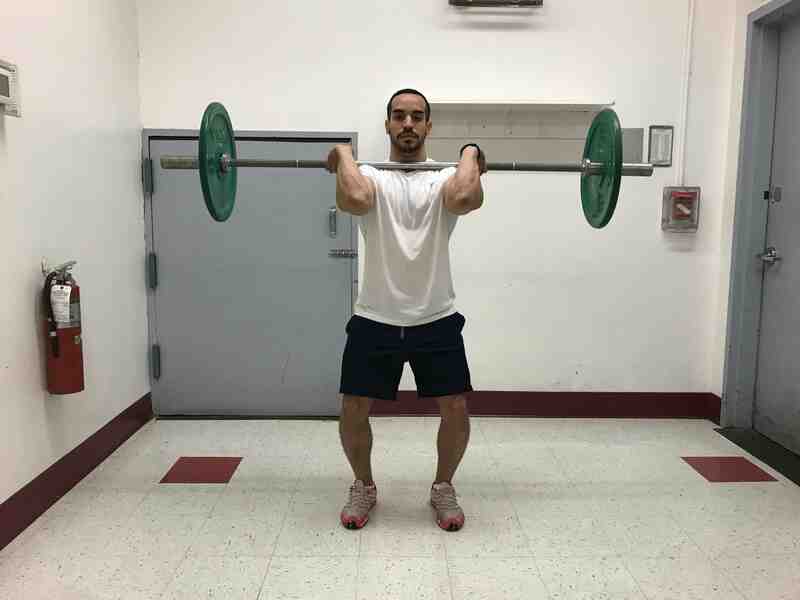 In order to power clean heavy weights, you will need to have solid technique. It may require you to practice the movement multiple times per week, doing your best to move the weight faster and faster. Power Clean Vs Clean: Which is Better? In the power clean, you bring the weight from the floor and onto your shoulders without bending your knees too much. This is different from a clean (aka the squat clean) where you completely squat down to catch the weight after the triple extension. As such, you catch the weight in a much lower position, and you don’t need to propel the barbell as high. 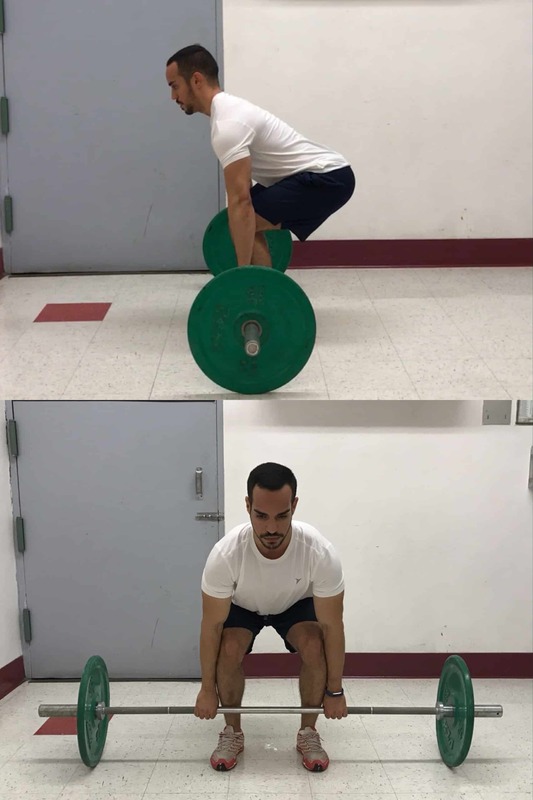 Both exercises build tremendous power, but squat cleans will allow you to use heavier weights as you get stronger (provided you can squat the weight up from the bottom position). Use this Power Clean Progression: Start with hang power cleans first, then move on to full power cleans, then practice hang squat cleans, followed by full squat cleans. What Sets and Reps Should I Use? Because power cleans take a lot of effort and concentration, you don’t need to perform a lot of reps per set. A very common sets and rep scheme is 5 sets of 3 repetitions. You can also do more than 3 repetitions, provided the weight is light enough. Can I Lose Weight With The Power Clean? Yes, the power clean is a great compound exercise that stimulates the entire body. Try doing a set of 15 power cleans and tell me how you feel. Because of its complex nature, the power clean is a great exercise that you can use for HIIT style training, which is the best type of cardio for weight loss. Can You Power Clean On A Smith Machine? No. Just no. The only thing that should be done on a smith machine is horizontal pull-ups. 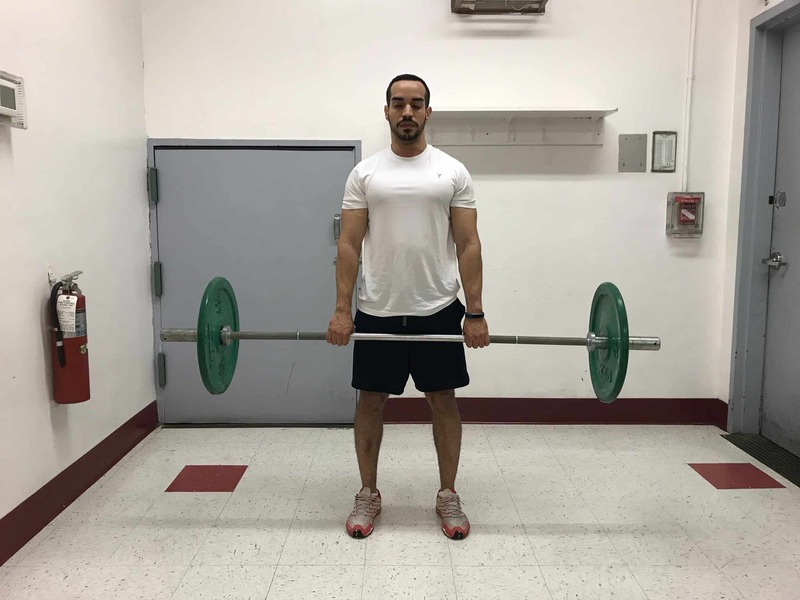 Check out our workout template for busy individuals to learn how to incorporate the power clean and every other functional exercise into your training routine. If you cannot perform power cleans here are some alternative exercises.